See my demo video below. Cyanide Pill has a fruity creamy, comforting kind of beginning scent, then comes a bitter almond note, almost makes me wrinkle my nose. I smell a vague cherryish note too. There is a silver glitter in the middle of this yellow bath bomb, which disperses into the water and looks pretty and glittery. Lush North America made a soap in 2015 called “Hands of Friendship’ which shares it’s scent with the Cyanide Pill. Caution! This intoxicating almond bomb should wear a warning sign. Detonate in water for a mercury silver slick. Ingredients: popping candy, perfume, silver glimmer lustre, lemon oil, cedar wood oil, rosewood oil, almond essential oil. 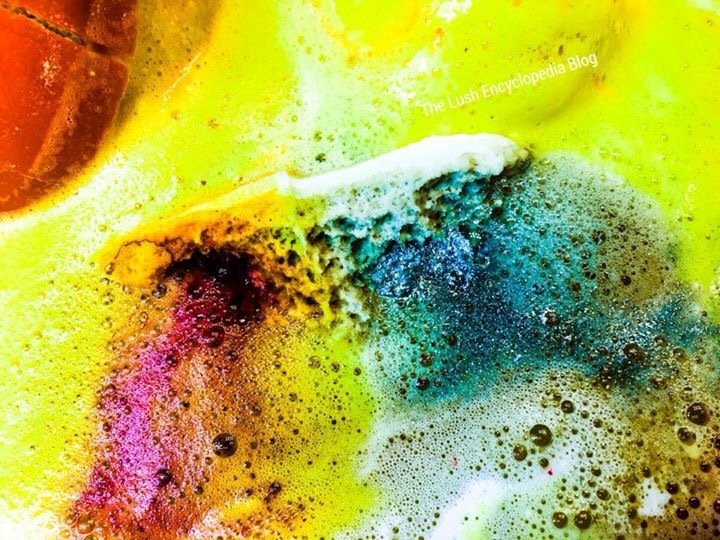 Posted on September 10, 2015 by Lushalot	• This entry was posted in Bath Bombs, Lush Oxford Street store exclusives and tagged almond, cedarwood, cyanide pill, Gorilla perfume, lemon, New, oxford street, Rosewood, scent family. Bookmark the permalink.